"Moisture and hydration are vital for enhancing natural hair texture. Your diet and your lifestyle influence each of these things too. " Directions for use: Shake well before use. Section your hair into four areas before spraying from root to tip. Use spray to evenly distribute the conditioner though clean, wet hair and rinse thoroughly. For very dry, damaged hair leave in for five minutes. For best results use with RE~VAMPTM Shampoo and follow with RE~VAMPTM Moisture Spray. 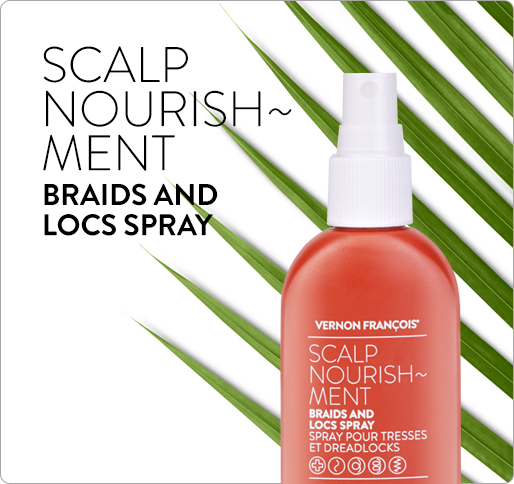 AWARD-WINNING, ULTRA-NOURISHING AND LIGHT WEIGHT WASH-OUT CONDITIONER SPRAY. COSMOPOLITAN Best Beauty Awards 2017: Best Conditioner for Perfect Curls. Styling, sun, pollution or just life – hair comes under stress every day. 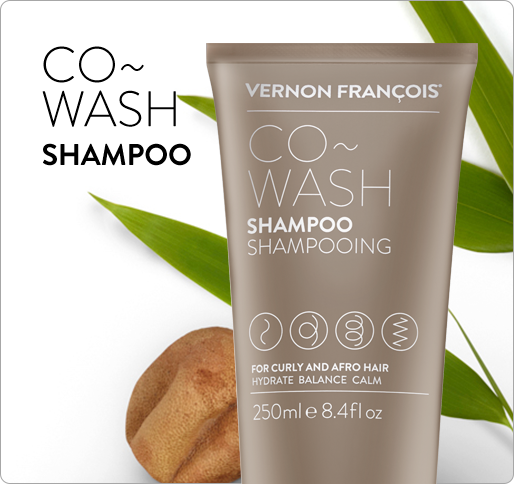 This no fuss formula is VERNON FRANÇOIS®’ best conditioner for damaged hair that can be used every day if desired. It powers way beyond traditional conditioners to fast track even the most fragile hair to healthy, intensely nourishing and light weight. Tried and tested active ingredients and the highest-grade plant oils give an intense dose of moisture with no greasy after feel. Aquarich® and Panthenol act to repair and reverse the damage of chemical processes to leave hair bouncy, glossy and smooth. 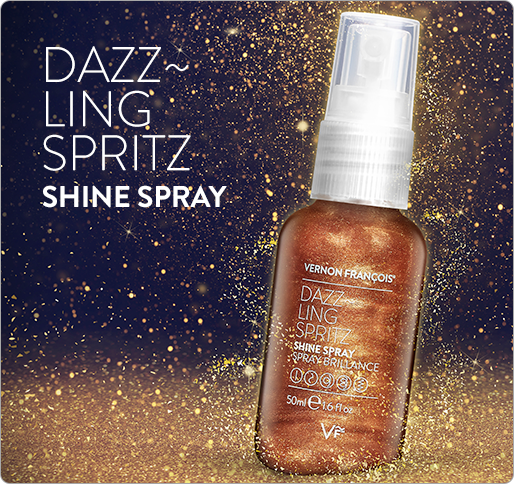 The RE~VAMPTM range features the best products for damaged hair by VERNON FRANÇOIS®. This damaged hair conditioner is exceptionally easy to use, for maximum control and minimum wastage. Select from three under-nozzle switch positions: left, for a targeted stream; right, for a wider mist spray, and middle to turn of after application. Aqua (Water), Amodimethicone, PEG-40 Hydrogenated Castor Oil, Alcohol Denat. (SD Alcohol 40-B), Phenyl Trimethicone, Cetrimonium Chloride, PEG-7 Glyceryl Cocoate, Trideceth-12, Glycerin, Dimethicone, Panthenol, Hydrogenated Castor Oil/Sebacic Acid Copolymer, Olive Oil PEG-7 Esters, Vitis Vinifera (Grape) Seed Oil, Sodium Benzoate, Parfum (Fragrance), Citric Acid, Potassium Sorbate, Hydrolyzed Vegetable Protein PG-Propyl Silanetriol, Butylene Glycol, Disodium EDTA, Phytantriol, Trichilia Emetica (Mafura) Seed Butter, Xylitylglucoside, Helianthus Annuus (Sunflower) Seed Extract, Polyquaternium-10, Phenoxyethanol, Linalool, Anhydroxylitol, Limonene, Butylphenyl Methylpropional, Xylitol, Avena Strigosa Seed Extract, Lecithin, Citronellol, Coumarin, Geraniol. I’d never used a conditioner in a spray before and wasn’t sure exactly what to expect or if I’d like it, but it really does make a world of difference, using and results-wise. Easy to hold. Easy to apply. It works and my hair definitely looks a lot healthier after every time I use this. My Mum commented on it too the other day, which has never happened before. I enjoy using this. My hair seems to be stronger, shinier and breaks noticeably a lot less during combing afterwards.